One of the companies providing the new patient transport service contract – for non-emergency ambulances – has gone into liquidation, the GMB said this morning (Tuesday 21 June). The failure of VM Langfords has prompted the GMB union to renew its call for a proper investigation by MPs into what has happened. The company and its ambulance contract has been put up for sale, with insolvency adviser Peter Hall expecting a swift deal – possibly by the end of the week. The union said that the House of Commons Health Committee should “investigate the growing crisis in Sussex patient transport services after the news that VM Langfords had gone into liquidation”. Five ambulances were seized by bailiffs last week and the company, which works with Coperforma, went into administration on Friday, the union said. The company said that it was not in administration although it has issued a notice of moratorium and hopes to be sold as a going concern. Katie Young, from the Southampton insolvency practitioner Peter Hall, said yesterday: “We are now actively marketing VM Langfords and looking to make a sale by the end of the week (Friday 24 June). “At this stage there are a number of interested parties and we can see no reason why a sale won’t complete even in this tight timeframe. “As ever patient safety continues to be the priority at all times and we’d like to thank the staff for their continued support in providing these vital services and helping the business at this time. She said on Friday: “Patient safety is the priority at all times and we are working with all parties involved to preserve the business. The aim in part is to protect the business from having further assets reclaimed and to allow its ambulances to keep operating in the immediate future. 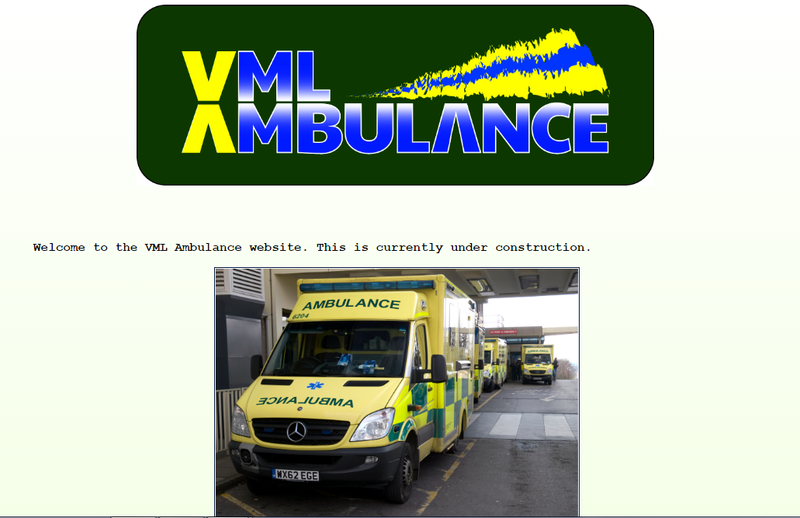 The GMB said: “This is the latest in a long line of failures following private provider Coperforma taking over the responsibility for Sussex patient transport services from Secamb (South East Coast Ambulance Service) on (Friday) 1 April. “Sussex CCGs (clinical commissioning groups) have received severe criticism from MPs and local residents as hundreds of patients suffering from severe illnesses miss vital NHS appointments with some patients reporting waits of more than five hours. Senior GMB organiser Charles Harrity said “VM Langfords’ administration, less the 11 weeks after taking over the patient transport contract, calls into question the competence of those who decided to privatise the service in the first place. “Now it’s time for those responsible for the decision to be held to account. “GMB is calling for the Commons Health Select Committee to immediately launch a public inquiry into this debacle and if needs be remove the individuals from the CCGs that started this fiasco.